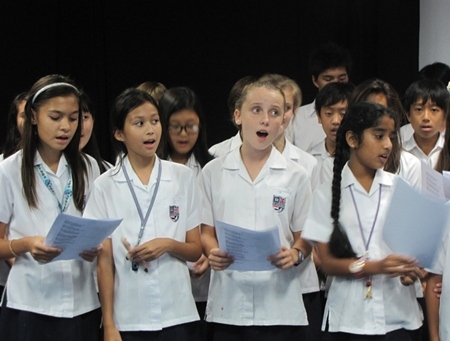 On Friday, 31st May 2013, St Andrews International School, Green Valley campus hosted its first choral workshop. 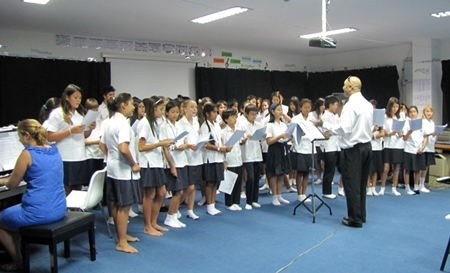 They invited St. Andrews School, Sukhumvit 107, campus to join in with the rehearsals and choral sessions. The purpose of the workshop was to work on their contribution with the piece ‘Unshakeable’ written by Howard Jones in aid of the ‘Voices around the World’ project and to record their final performance. 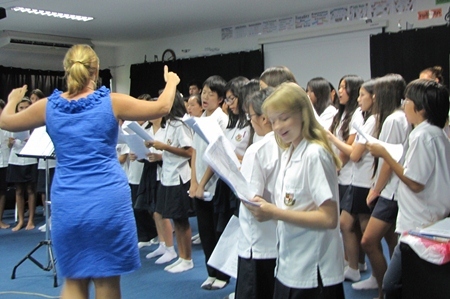 The students had a day filled with laughter and learning new exciting songs. Sectional rehearsal with Miss Sian Jones. Happy faces after the recording being completed. Working on Unshakeable by Howard Jones.